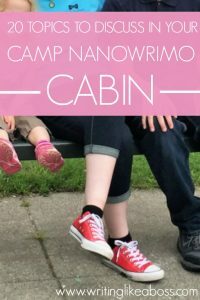 For those of us partaking in Camp NaNo this April, we were just sorted into our “cabins.” Personally, I love the cabins – I don’t often get to converse with my fellow writers, let alone writers from all sorts of backgrounds and countries! It’s absolutely enthralling to listen to their stories and ideas. Due to a recent update to the Camp site, we now have 19 cabinmates (as opposed to the original 11). With so many people in such a small space, not to mention the fact that almost everyone is in a different timezone, it’s hard to keep up with the conversation. So here are 20 (yes, 20!) topics to discuss in your cabin, to help you stay on top of things! I’ve sorted the ideas into two groups: writing, and off-topic. Because if I’ve learned anything about being a writer, it’s that we can’t stay focused on actual writing for more than ten minutes. What’s the best story you’ve written? Got something to add? Please, feel free! 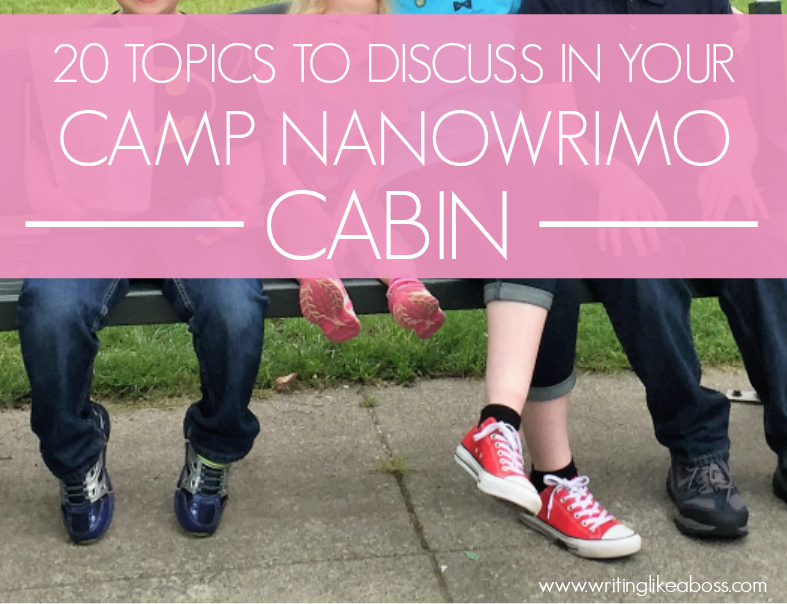 Even if you aren’t in Camp this April, I’ll add your topic ideas to the list! Hi Sam! I know April first is tomorrow, but I have some questions…Do you have cabins in November too, or is that just in April? I really want to get in touch with other writers, I think that would be amazing to hear others books and tell about mine, and communicate with other people! But, as you already know, I’m not writing much and don’t think I can do the April NaNoWriMo. Are the rules all the same for November? Also, is there another one, maybe in the summer? Thanks! I really appreciate it! Hi! No, unfortunately cabins are just a Camp thing. I understand being unable to do it this April, but luckily it comes back in July! Same rules for April apply in July as well. 🙂 Let me know if you have any questions or problems!